No matter what platform or tools you use, the HTML5 revolution will soon change the way you build web applications, if it hasn't already. HTML5 is jam-packed with features, and there's a lot to learn. 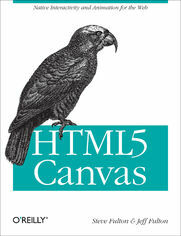 This book gets you started with the Canvas element, perhaps HTML5's most exciting feature. Learn how to build interactive multimedia applications using this element to draw, render text, manipulate images, and create animation. Whats Not Part of the State? How Do We Save and Restore the Canvas State? What about the height of the text? How Do I Test WebGL? How Do I Learn More About WebGL? What Does a WebGL Application Look Like?